At Garcia Subaru North we often hear our customers use the word "love" to describe their car. And when you visit our new and used Subaru dealership in Albuquerque, you will find yourself doing the same. 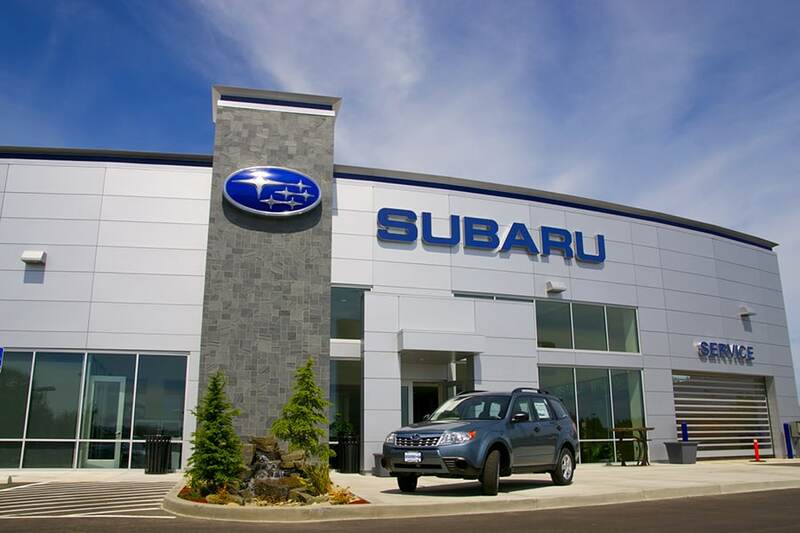 Our dealership is located in in Albuquerque, and we are proud to be the preferred Subaru dealership serving the communities of Rio Rancho, Placitas and Bernalillo. If you want to see what we have in stock, use these directions to our showroom and feel free to call ahead with any questions you might have at 888-785-2959. Magical desert scenery, a Rocky Mountain backdrop, and charming adobe communities which predate our nation's founding, New Mexico is a cultural and historic hub, and in its welcoming air, its people take in those distinct offerings under the warm desert sun with help from us at Garcia Subaru North. As a premiere New Mexico Subaru dealer, we provide our drivers with numerous opportunities to hop between electric Southwest attractions, work and family commitments behind the wheel of reliable transports and with support of devoted service center associates. Subaru has a long-standing reputation for its all-weather adaptive, award-winning safety equipped and reliable rides, presenting a multitude of reasons why Albuquerque drivers might consider Subaru among the best. In our new Subaru showroom, you'll find the newest vehicles from the 2018-2019 Subaru model-year lineup, including the new Subaru Forester, Outback, WRX, Impreza, Legacy, BRZ, and Crosstrek. If you can imagine yourself behind the wheel of a new Subaru, you don't have to imagine for too long! Why not visit us & take a test drive! After you have taken a peak at our new vehicles, why not check out our selection of used cars in Albuquerque. All of the pre-owned Subaru, certified used Subaru, and other used cars for sale at our used Subaru dealership are tirelessly maintained so you can feel confident that buying a used vehicle from Garcia Subaru North will keep you on the road for miles and miles to come. We sell quality used cars to drivers from the Albuquerque, Bernalillo, Rio Rancho and Placitas region. All New Mexico drivers deserve to park their dream car in their driveway; that's why we make a conscious effort to supply our favorite drivers with promising financing opportunities. No matter which side of the spectrum they are on, whether good credit, poor credit, or no credit, our financing department is ready to work with you to find a solution. Our money experts will work with you to establish an auto loan or Subaru lease which best works with your money matters. Let our talented Subaru finance team discuss a car loan or Subaru lease options, and find the right auto loan that works for you. Now that you have been handed over the keys and have driven off the lot, your relationship with Garcia North Subaru is just beginning. With our Subaru service and repair center, we are ready to help keep your vehicle running like the day you bought it. Our service center only uses genuine auto parts in Albuquerque because these parts we designed specifically for your vehicle, and quality work is the name of the game. Java is a 8-month-old American Pit Bull / American Cattle Dog mix. To visit Java, or any of our adoptable pets visit us at 615 Virginia St. SE or visit us online at AnimalHumaneNM.org. You can also support Animal Humane NM by shopping at our Thrift Shop at 4646 Menaul Blvd. NE. Thank you!